As many of you may know, we pretty much been booming with sales of our $3/month estate regions. Well we are finished with our experiments, and we have made some changes too all our plans. We have had a lot of feedback, and we listen to our customers. So lets lay it out here, and start with our biggest change. That’s right guys, if you look at our simulator plans, you told us you wanted to have var regions all the way up to 4×4 vars or mega(so you can use ODE). Well listened, Starter, Plus, and Max now offer this. The Unlimited still does not offer this as it could be abused at a bigger size. So we hope all you guys are excited that we care what you our customer wants. Sorry guys, Estate Regions are GONE! You missed out, if you didn’t grab them while you did. However, Region Plans have come in to replace them. Plans from $3/month to $7.50/month and by the way take a look at the screenshot of the new order form below. That’s right, we listened. You wanted to pick where that region goes, its name, and even a starting OAR file. So we listened and here it is guys! These are not experimental plans, these plans are new and part of our line up. We are so excited to welcome them into the Zetamex line up. To address some concerns some customers have sent in, we are offering these plans to our customers for them to have these regions attached to their grids. However, you must order them through the new order form for customers, so that you can have them setup for you regions. It should be noted that these plans do not accept the discount of grid ownership because of their already low cost. 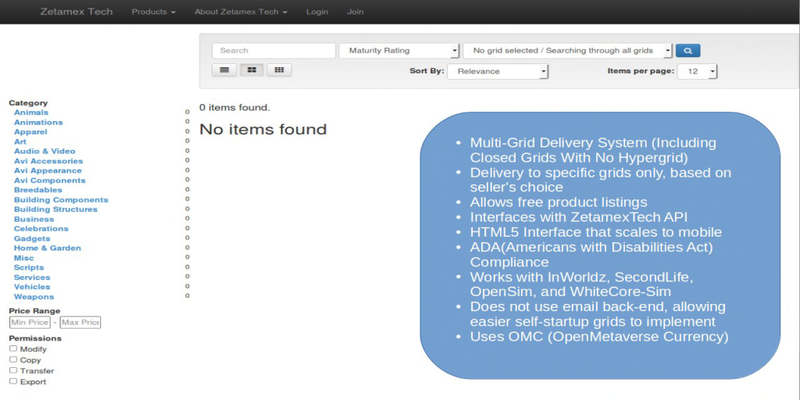 Grid owners can also choose to write us at support[at]zetamex.com for us to add your grid to the public list for orders as well if you would like. The first official beta is underway of ZetaPanel v3(soon to be renamed as My Zetamex), and the best part about this new interface is that you can now reset your password yourself. We know users have been requesting that forever, and we are now offering it. So we want to give you a quick run down of its new features, and the features that are still being built-in. We never encrypt passwords, encryption means it can be un-encrypted. We hash, and when we hash we hash 5 times. That means if we were to become compromised, it is next to impossible for someone to reverse your password back into raw text. Rename regions(only simulator plans), with just a few clicks. Move regions(only simulator plans), with just a few clicks. No more FTP, files are managed all from the web interface. Runs as a mobile app on your phone! All this built on the latest version of PHP and Linux, making sure we have the strongest security in the business. But don’t get too excited, we are only selecting certain random customers to entertain this beta project. But we are excited to say it is in its first stable beta release. Lastly, we are currently working on remodeling our phone support system so please stay tuned to our http://zetamexstatus.com/ for update on its integration into our support system. 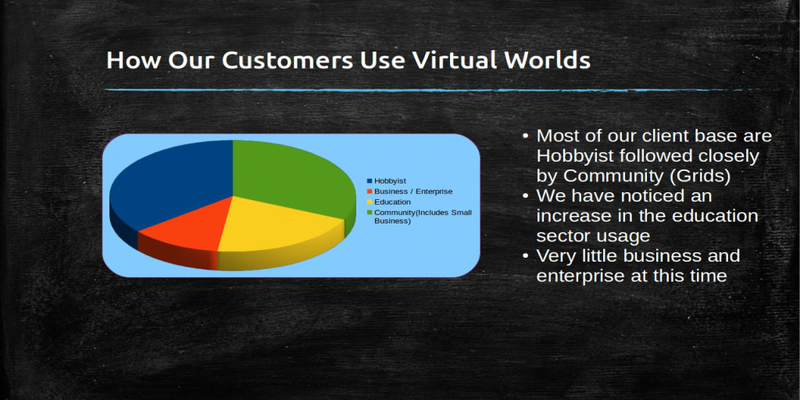 As always, we are an industry leader in Virtual World Hosting. Providing top quality service and availability around the world. A company that isn’t afraid to change with the times, and look for new and better ways to provide new and more affordable ways to give our users the edge over the competition. 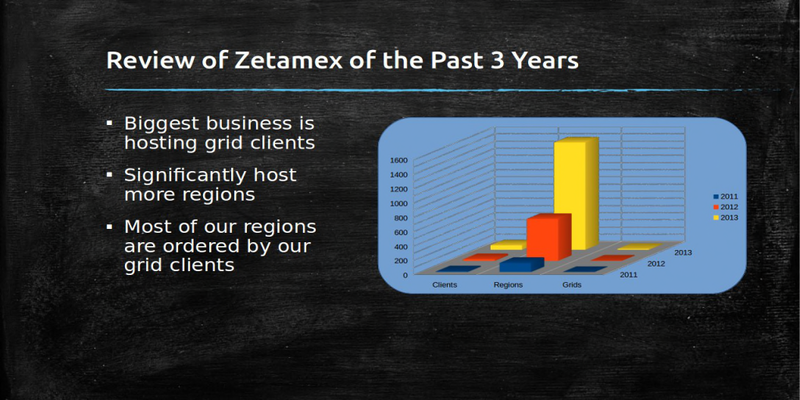 Zetamex has servers in over 9 different countries and is always expanding. With the massive success of our Estate Region plans, we have decided in instead of waiting for them to sell out or just keep adding them (which we will do) the form now lets you order and you will be given one based off of what you order. This will allow us to keep adding regions, and grow the list. As an added bonus, we have added two new fields. You now have the ability to pick a starting scene for you region(which cannot be changed later on, only at order), and also the ability to choose which grid you want it attached too. Anyways, we thank you all for choosing Zetamex and hope to keep this project going! 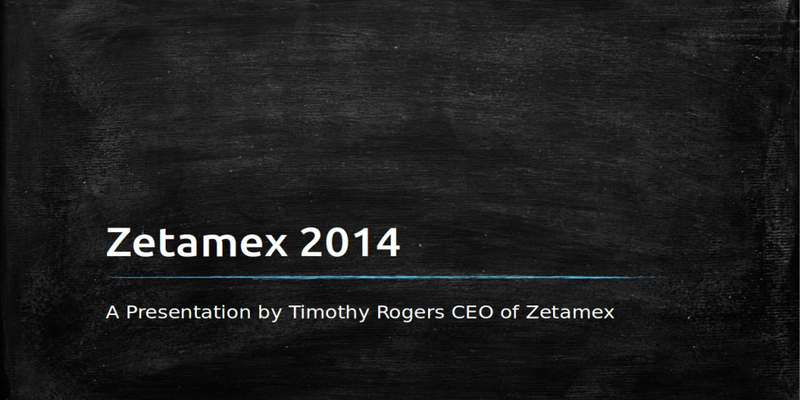 We are proud to announce that starting today, Zetamex is now offering regions starting at just $3.00/month. This is an experimental service, meaning we are changing and it may not last all depending on how you our customers and future customers take to these new plans. That being said, as always we honor our arrangements with grandfathering, meaning if you do sign up and we ditch the plans you will still be on it with no changes to price. 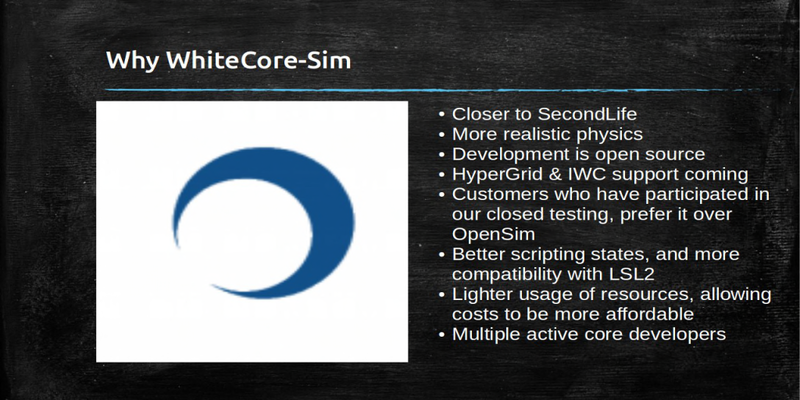 Those are the ONLY features you get outside of the basic features you get from owning a region inworld. We are excited to see how everyone takes to the plans, and if we sell out we promise to add more. Be sure in the comments to let us know if you would like us to expand this into your grid, or a grid you know. 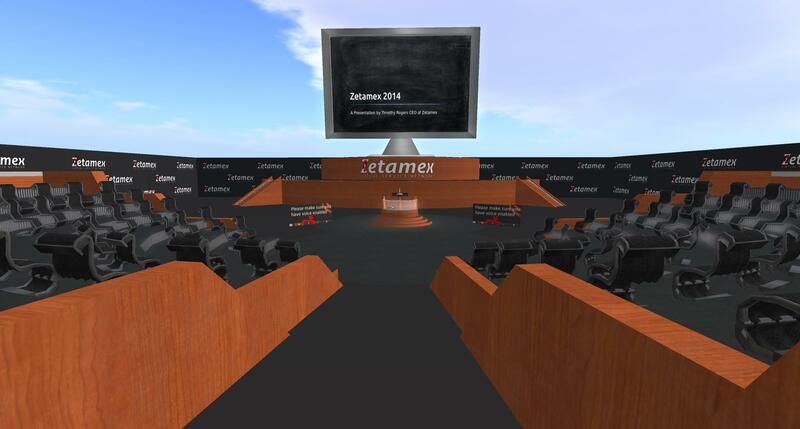 This past weekend we had a conference for Zetamex. We know a bunch of people who RSVPed didn’t show up, or couldn’t make it. So as promised we are publishing the slides on this blog, we also at the last minute did a video and uploaded it to youtube, but for some reason people are having issues loading that as youtube has been having some issues lately. So we have decided to host the video ourself and it is attached to this site, and is using our CDN back-end with amazon to provide playback. Explaining this slide, we show the past 3 years. We show how while we have a low number of clients we have a very high amount of regions hosted with us that is growing constantly. As I write this letter we are up to about 1,894 hosted regions, and this doesn’t include the ones we have our staff processing right now for orders. 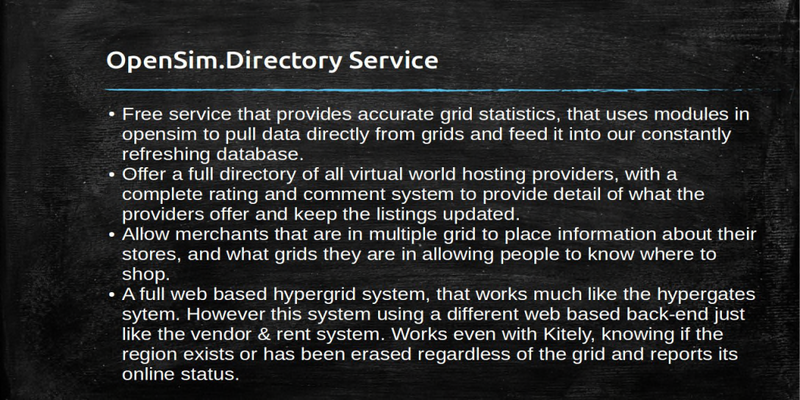 We broke down how our customers use our platform, where it is mostly hobbyists and small companies such as grids. This slide is pretty much speaks for itself. 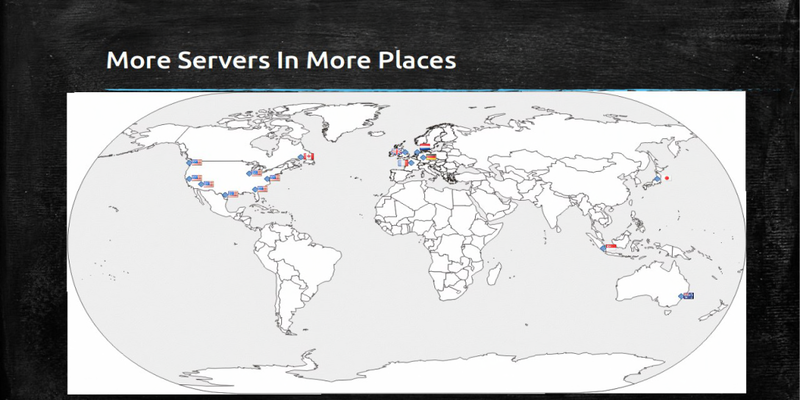 Here we explain how we have expanded even further, and we now have 6 data center locations in the USA, 1 in Canada, 1 in the U.K., 1 in France, 2 in Netherlands, 2 in Germany, 1 in Japan, 1 in Singapore, and 1 in Australia. We are still working to secure even more locations, we are currently working to get a presence in South America to provide better ping times to our users from countries there. If you have any questions or want more details, please feel free to write me timothyrogers[at]zetamex[dot]com and I will be happy to help explain things further. Now I leave you all with the video of the conference, I do apologize for the slight static in the background. We are happy to announce that officially starting today, we now accept payments via credit cards without going through PayPal. We as always encrypt your traffic and billing information behind firewalls and SSL encryption. Your credit card information is not even stored on our servers, it is stored with our credit card processor Stripe. One of the most trusted credit card processors on the internet. On your next invoice when you hit the pay button, you will be asked if you wish to pay via PayPal or Stripe. This allows you to now use your credit card directly, and even earn points as many people know PayPal normally voids out that earning. We now accept the following cards: Visa, MasterCard, Discover, American Express, and JCB. We are excited to finally be able to offer this service at no extra charge or service to our users. We are looking into accepting BitCoin and LiteCoin very soon so please keep tuned as we work on newer and more easier ways to pay your bill and order new services. We are proud to inform everyone this month is pride month in the USA, and this month we recognize the fight which is still going on this month for those in the LGBT(Lesbian, Gay, Bi, and Transgender) community. This is a close and personal to the CEO Timothy Rogers, as he is a homosexual who did have a hard time in his past because of his sexuality. Which we will get into a little later in this article, as we have a couple things to touch on. Firstly, Zetamex just got a huge face lift and there is a bunch of free upgrades and changes coming your way. First we wanted to show off that we do actually encrypt all our billing traffic, even just your orders themselves. We wanted to ensure that you always get the HTTPS page so that if the page loads and doesn’t auto-switch to HTTPS you can “Force SSL” and encrypt your connection while ordering. The next big thing that we changed was we dropped standalones and made owning a grid much easier. 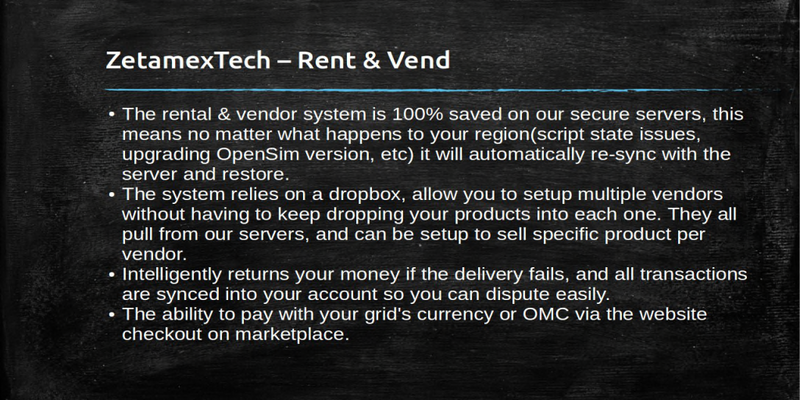 You can now get grid services for just $25/month and a 15% discount on your simulators that you connect to your grid, keeping it very affordable for all our clients. We dropped standalones, because they are simply not salable, and we want our clients to be able to scale infinite in size. While improving this, we noticed that there is a demand of people who wish to remain on their hardware and we want to help with that. So introducing our latest service, call BYOS(Bring Your Own Servers) Service. 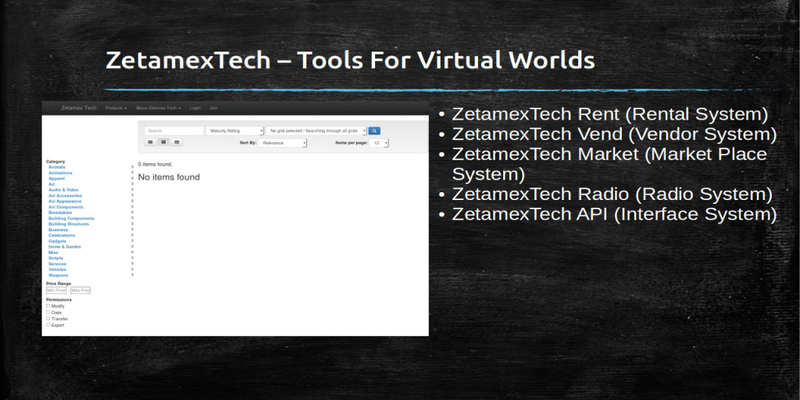 Where we will setup our tools and many of our features and link it into your existing hardware and work with you. We have already been doing this on a customer to customer basis, but since there seem to be a demand we are happy to fill the need. That being said, we are announcing that also this month for Pride Month, we will be making a contribution based off the total sales this month to the “Women’s Resources Center of the New River Valley” in Radford, VA. The reason for donating to this specific organization, is because they are a small organization that because where they are located, cares for people of all genders and sexuality. The reason for this specific one is it is the organization that helped our CEO get on his feet after his 18th birthday where he ran away from home, due to his family’s nonacceptance of who he was. Provided him with the resources and tools he needed to stay in school and finish High School and get a job and on his feet. Timothy, now after years has finally been re-accepted by his family and they have apologized for the actions that happened in the past. But he wishes that Zetamex’s profits go towards an organization that helps all walks of lives.